It’s almost crunch time! We are on the verge of ordering up a brand new website with new name and domain to go with it. first though a bit of history about what has brought us to this point. Some time ago we posted about revamping our website at www.comacodirect.com, which is long overdue. We originally setup our own ecommerce site in 2009, 6 long years ago. At the time we were not even 100% commited to selling toys, hence the name Comaco Direct rather than Comaco Toys. During 2014, I undertook two training courses with John Taylor through Business Gateway on getting results from your website and improving search engine ranking. These were extremely useful, but also somewhat depressing in that highlighted in my mind how much progress needed to be made. Certain deficiencies of the current site immediately came to light with regard to layout, navigation and responsiveness . In addition it was advised that this blog, then newly launched, would need to move “inhouse”. The reasoning being that having so large a number of incoming links from the same external website might actually be looked upon unfavourably by Google – the opposite effect of what was intended! Later in the year I got in touch with Highlands and Islands Enterprise who eventually signed our business up under their “digital health check” scheme. This involved a brief meeting with an appointed consultant and the subsequent production of a report. The main focus of this was to seek advice about either overhauling of the existing website or setting up a new one with a different provider. Our consultant, from Alchemy Plus in Inverness, advised us to go one for one of several new ecommerce site providers – Bigcommerce, Volution or Vendio. All of these were large companies offering a range of packages with a choice of off the shelf templates with broadly comparable features. A litttle further research saw us adding one extra name to the list – Shopify – which, although not initially recommended, appeared to be frequently compared with the others in online guides. Vendio immediately did not seem a good fit, and Shopify only offered pricing options where it charged a direct comission on sales which did not make it an attractive option. Bigcommerce and Volusion both had plenty of good features with similarly priced packages. Of the two, Volusion seemed slightly easier to set up and import products, it also seemed to have slightly keener customer service with a UK office. One distict advantage with Bigcommerce though was that they offered completely unlimited bandwidth. We found no way to accurately calculate our current bandwidth use and only the most expensive Volusion option offered a monthly allowance that would definitely have been adequate. Unfortunately therefore Volusion also had to be rejected. And so it was Bigcommerce then? The big issue when it came down to it was the DIY nature of all these systems. You choose a basic template and it is then entirely up to you to try configure it with your stuff to get it look like a professional website using the basic set of tools you are given. We found this by no means straightforward, even once we had eventually managed to get all our 500 plus products more or less correctly imported. The Bigcommerce front page for example consisted of a huge splurge of text with our many product categories directly under the page title. There seemed to be no way to move this on the several responsive free templates we tried during the trial, and it did not look good. There were further responsive templates you could pay for, but the there was no way of trying these out in advance of signing up which made us reluctant to risk it. Before giving up entirely with the off the peg solution we did make one more attempt – with a company called Squarespace – which I had only heard of due to some pretty agressive advertising on a science podcast I listen to occasionally. Again a free trial was available and for once manipulations of one of website templates (for a New York restaurant of all things) started to give some quite pleasing results. Sure, there was a long way to go, but at least it looked like something might be possible here. The next step was try importing products and … oh dear, there was no way to do this, unless you were coming from a couple of specific other providers. I couldn’t quite believe they were offering ecommerce without this facility in place (and I did contact to confirm that). The logistics of manually inputting 500 products was enough to scratch this off the list. As mentioned in a previous post, we had heard that Magento and Juplo were the big solutions in ecommerce. However we have now realised that these are not all in one soloutions but just basic platforms. Unless you are a savvy web developer with time on your hands you still need someone to build the thing for you and host it. The way forward would be to approach another web designer for a new bespoke site. A local company would seem to be preferable, however an ecommerce site, as opposed a more straightforward web presence, would seem to be something to be something that sorts the men from the boys in this regard. More recently I did try contacting our former adviser from Alchemyplus to see if they would be interested to quote for this, or even to just help with forwarding our existing site to the new domain, but disappointingly I never even received a reply to my messages. Clearly the work was not of interest to them, although I can recall being told on our meeting that setting up an ecommerce site was hardly any more difficult than a standard one. One thing our advisor had been definite about was severing ties with the existing provider, Easywebstores, since little attempt had been made by them during the years to help keep our site up to date and modern. Although they cannot be 100% blamed for that, it is true that no one has ever made much effort to look after us particularly. I have however been in contact with them to discuss what options there are for an upgrade and we have been offered the set up of a new template which include most of the new features and functionality we need. This has a huge advantage of over the likes of Bigcommerce in that the setup would be done for us and all the products are already there. Another factor is that Easywebstores would handle the domain redirection, and since they already host and are the registrants of our original domain this ought to make it a much simpler process. The initial idea was just to move from Comacodirect.com to comacotoys.com. 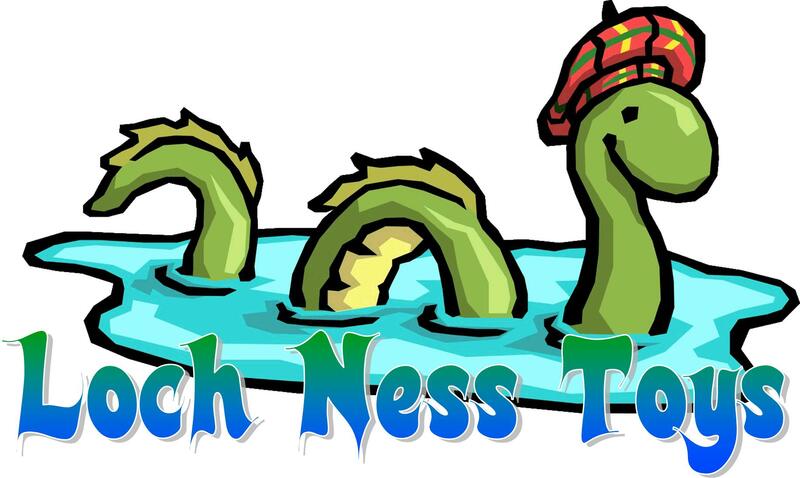 However recently Loch Ness Toys has now suggested itself as a more exciting alternative. 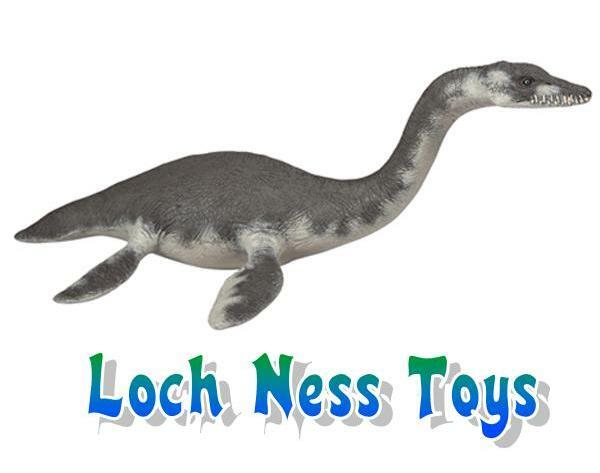 Our current Loch Ness Toy – Papo Plesiosaur. This prehistoric creature has sometimes been thought to be the identity of the Loch Ness Monster!